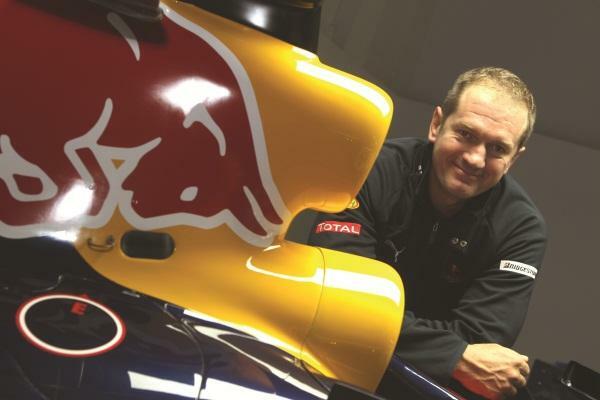 Red Bull Racing trackside infrastructure engineer, Olaf Janssen. Jumping on a plane every second week to descend upon a different city in one of 19 far flung corners of the globe is a travel dream most of us never have the chance to experience. It’s too expensive and maliciously out of reach. But it’s the epitome of the affluent jet-setter, especially when you consider the locales include Monte Carlo, Valencia, Shanghai, Sao Paulo, Monza and Melbourne. Did I just say Melbourne? Yes, Victoria’s capital city is considered exotic by many non-Aussies. Can you hear the chuckles in Sydney? Jokes aside, imagine being in a position to dive off a yacht to swim in the azure waters of the Mediterranean off Monte Carlo one week, wander the Byzantine churches and Ottoman mosques in Istanbul the next and party in Montreal the week after. Delectable? Yes. Picture doing it again for the another 16 locales. The mind wanders and wonders. But who does this, aside from the elite of elite playboys and girls of the world? Backpackers? Perhaps, but not on this scale. Airline staff? Yes, but often they work one route and have to turn around and come back the next day. Cruise ship crew? Not likely in this time frame. Tennis and golf stars? Possibly. No, it’s a well-heeled group of IT managers and their amply — financially speaking — supported posse. Nine months, 19 locations. It sounds too good to be true and it is. Sadly, this trip is no holiday. Humour me, and this time imagine in each of those 19 locations you have to set up the IT systems of the equivalent of a medium-size enterprise in less than seven days and, a week later, pack it all up, ship it of to the next destination and do it all over again. Each time, the environment is uncertain, the weather conditions unpredictable and most off-the-shelf kit wouldn’t last an hour. Add in the fact that the systems are a vital support mechanism to a driven (mad?) man hurtling around a race track at more than 300 kilometres an hour just a few centimetres above the bitumen. For four days, you are a mission-critical part of what is often considered the pinnacle of motor sports. If the IT fails, the driver is in mortal danger and bucket loads of cash could be lost — to say nothing of your own job. It’s Formula 1 and it’s the life of a handful of IT managers that work in the glamorous sport. And no, they don’t get much of a chance to chat with the Pit Lane girls.